Cultivate and keep in touch with an informal learning network of MCED practitioners. Conducting analysis, reporting and monitor the impact of the dissemination of the MCED models. Early in the project we created the Localising Prosperity concept and web resources, outlining the approach, guidance and tactics for different audiences, evidence and inspiring case studies. This has been very well received and has created a step change in our clarity of communication of the approach and how it is received by others. In particular it has overcome the “blind spot” we’ve found is generated in many decision-makers by the word “community“. 2) Engagement with key organisations in the Localising Prosperity agenda. coverage of Localising Prosperity on several blog sites including Reconomy, New Start. Meetings and some ongoing engagement with senior representatives of Local Enterprise Partnerships and the West Midlands Economics Forum. It’s worth pointing out that whilst many people have said the Localising Prosperity site contributes particular clarity and mainstreaming potential to the concept, we are far from alone in promoting approaches based around strengthening local economies. So joint work with the Centre for Local Economic Strategies, New Weather Institutes, Reconomy, new economics foundation and others is greatly valued: collaboration will lead to a stronger collective voice. Right Care Right Here is a partnership between the NHS and Birmingham and Sandwell local authorities, aiming to try and improve the quality of health and social care services which are provided to local people in the area, in particular through the regeneration opportunities of the new hospital. Our contribution to this work can be found here in a short additional report. The aim of this project was, and is, to develop a model which could be used by SMEs to work together and in doing so, enable them to gain market share from remotely-owned corporations, achieve greater local economic growth and social inclusion. The current focus is on the retrofit sector and we have been learning from experience in Italy, Spain and Scandinavia. 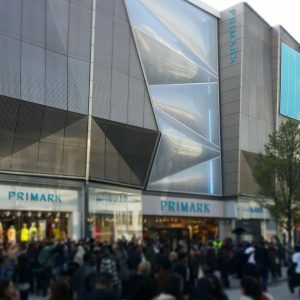 Given the promising start to this project over the year, LWM intends to take it forward with the committed business grouping that has emerged, with or without further funding. The background and progress on this project is further outlined in this additional report. 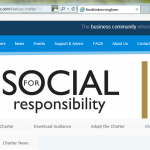 This excellent Charter has been introduced by Birmingham City Council for its supply chain. 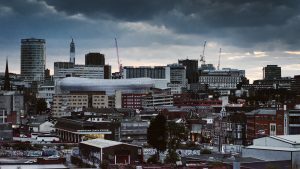 It makes the link between strengthening the local economy and social responsibility, and crucially it makes both contractual obligations for businesses wanting to be Council suppliers. LWM supported the Charter through helping design and deliver three workshops with Find It In Birmingham for local social enterprises and non-profits, seeing it essential that the inherently locally-beneficial qualities of such organisations should be reflected in the number of them achieving charter status. More can be read here about what we have learned from our Charter involvement (We also now offer organisations assistance with Charter sign-up). 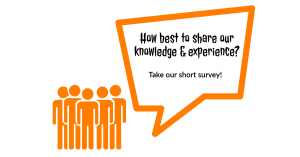 We found that case studies were important in the project because they demonstrate how a localising prosperity approach can be applied in practice, in a way that compliments resources for tactics, evidence and mindsets. We’ve collected some inspirational but practical stories which can be found on the Case Studies page of the Localising prosperity website. A network of committed people from all sectors involved in interesting work on localising prosperity became our advisory group and action learning network. 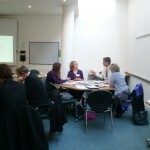 Cuts and other local authority changes make it hard to maintain involvement in such networking activities, but the meetings that were held were useful – in shaping the Localising Prosperity communication resources, and in alerting us to opportunities to influence the skills and careers agenda towards local economies. 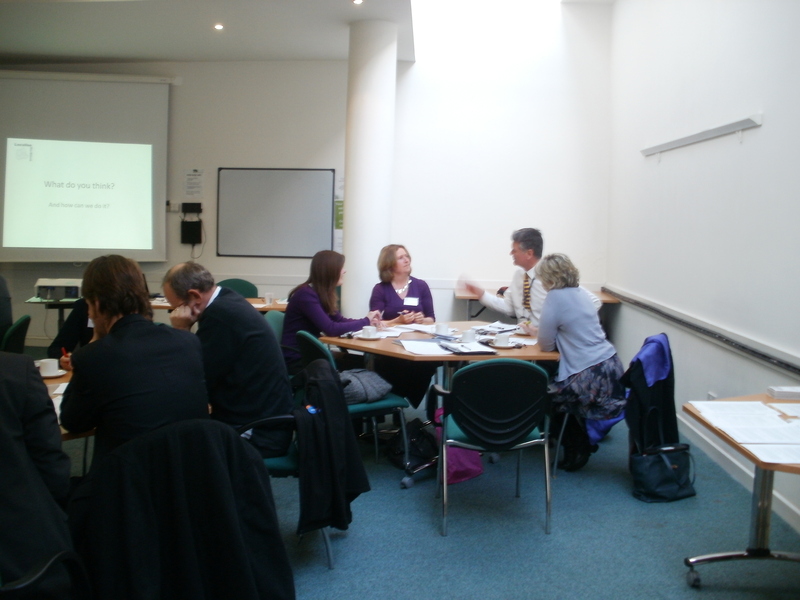 That was a brief round-up of the year’s activity on the Mainstreaming CED/Localising Prosperity project. We are grateful to Barrow Cadbury Trust for funding this. If you have any questions about this work or how LWM proposes to progress it in future, please do get in touch. 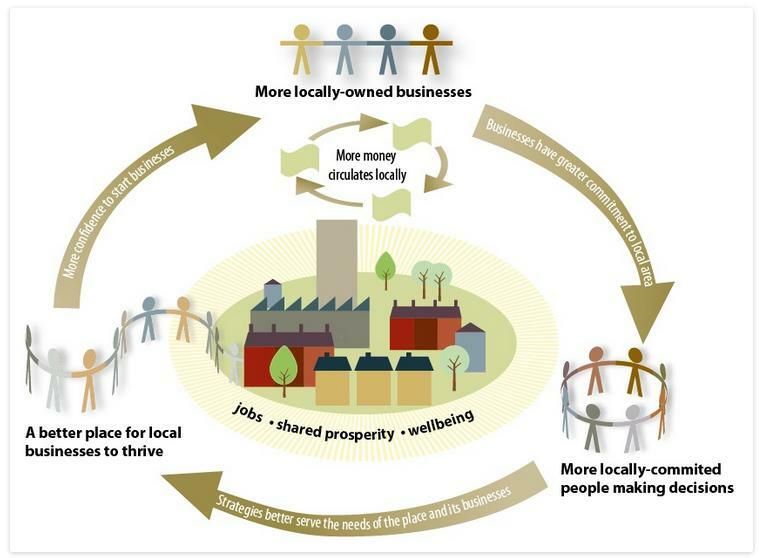 The initial MCED Research page outlines the social benefits of locally-owned economies we identified, and how successes can be replicated and scaled up in mainstream economic development, and links to reports and briefings.